MOTA clip axle specialized springs help in setting the correct tension between the flip mechanism and the shoulder of the truck. Mota Clip/Flip Axles Spring Spacer Kit! Includes a set of 8 specialized springs that eliminates the extra play on the axle when using flip/clip axles. Every wheel may be slightly different with the amount of play you get in the wheels lateral movement along the axle. Use these special springs to set the correct tension between the flip mechanism and the shoulder of the truck. 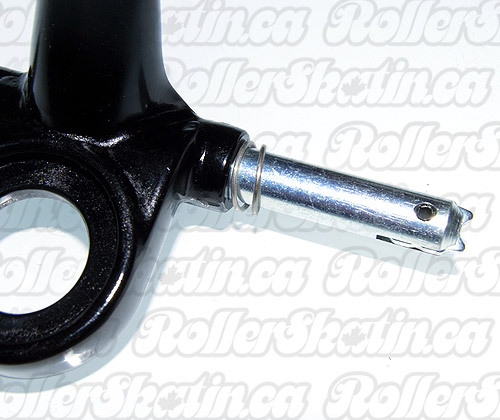 Springs help eliminate play in the wheels/bearings when using clip axles. Springs must be used under the wheel, with the spring resting directly on the truck. Springs eliminates wheel clicking. 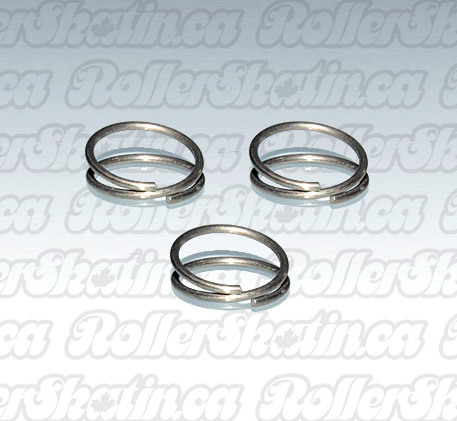 However, its important to know springs compress and uncompressed under the pressure of skating. Springs compressing under pressure may cause the wheels to shift inward (away from the clip) leaving space on the outside (clip side) of the wheel. The space on the outside comes with the risk of a clip opening. Always use at least one spacer on the outside of the wheels (clip side). Try the spacer in both directions to take up as much play as possible. IMPORTANT: PUSH THE WHEEL DOWN IF THE SPACER IS NOT FITTING ON THE OUTSIDE, PRESSING DOWN COMPRESSES THE SPRING CREATING SPACE THAT WILL ALLOW YOU TO CLIP THE AXLE WITH A SPACER (OR TWO) on the outside of the wheel (clip side). IF YOU ARE NOT ABLE TO OPEN YOUR CLIP, PRESS THE WHEEL DOWN AND PULL APART AS HARD AS POSSIBLE. THIS WILL PUT YOUR BEARINGS BACK INTO THE CORES AND MAKE MORE SPACE SO THAT YOU CAN OPEN THE CLIP. MOTA BOSS PRO with Custom Trucks Quad Plate Factory Direct!